ABS.Touch Control: red, green, blue, yellow, cyan, pink, white, color changing. can fixed one color or 7 color gradual changing. 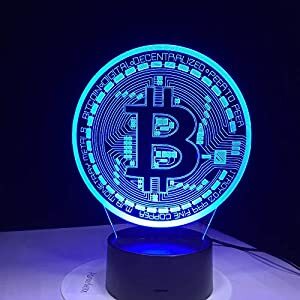 NOTICE: 3D just Visual, the lamp itself is Flat, Unique Lighting Effects Amazing Optical Visual Illusion Home Decor Lamp. Power: input 100~240V; Output: 5V, 0.5A.